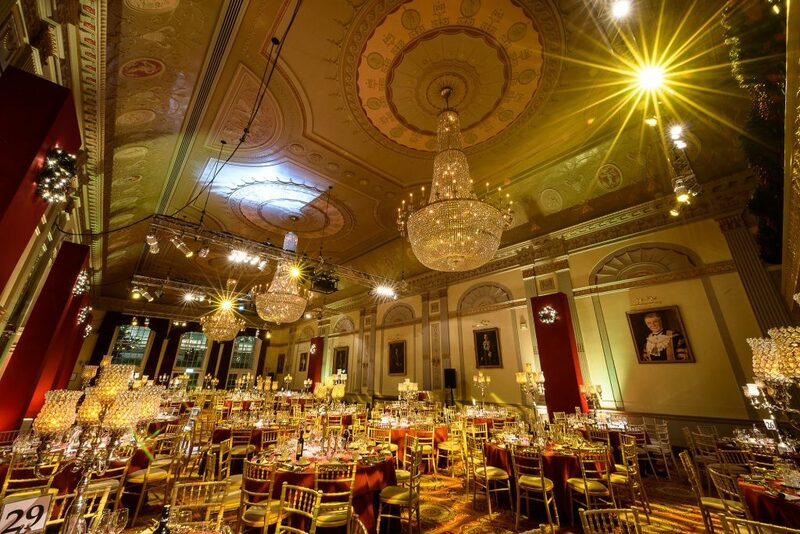 Gala dinners, awards ceremonies or charity fundraisers all need some jaw-dropping scenery to make the event even more special. We’re talking about interiors that make you utter “wow” as you look around, from the grandeur and elegance of a historical venue, to the new modern shapes of a space given some recent TLC. Here are our favourite wow-inducing venues. With over 150 years of architectural history (and just a few more years with the contents inside), the Natural History Museum is an incredible place. The building was built with the iconic terracotta stone we all know and love, and is an excellent example of Romanesque architecture (that will definitely come up in a pub quiz one day). 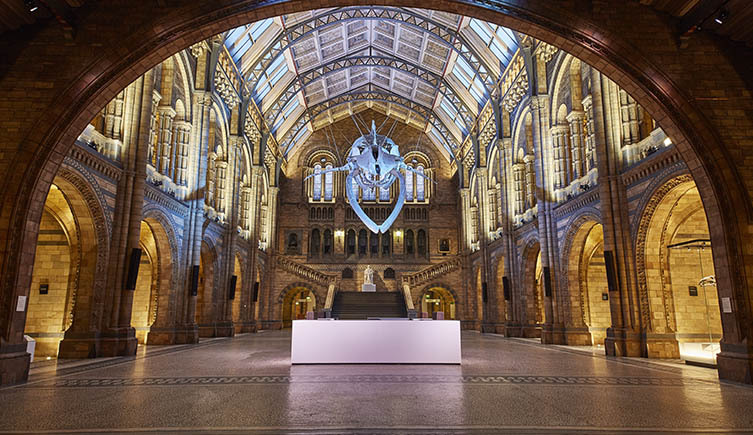 In the Hintze Hall you can feast below Hope, the 25.2m blue whale skeleton and if you’re missing Dippy you can head to the Earth Hall where you can dine with Sophie the Stegosaurus. We’ve also heard that you can receive private tours by on-site scientists if you’re looking for some behind-the-scenes knowledge and a little extra take away for guests. 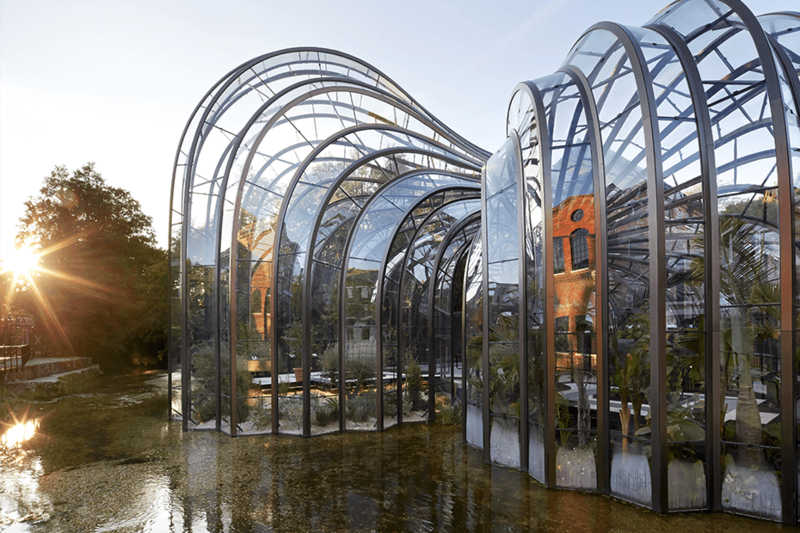 Gin lovers rejoice because this stunning structure is part of the Bombay Sapphire Distillery. The glasshouse was created by Heatherwick Studios in 2010. Yes, we know it’s not in central London, but some things (definitely this) are worth travelling an hour and a half on the train for… plus there’s gin. We’re always blown away when we see the glasshouse peeking over the traditional brick factories. The Mediterranean Glasshouse is perfect for drinks receptions, but it also serves well as an intimate dinner party. For those with a larger group, adjacent spaces can hired depending on your requirements. Starting out as the Museum of Manufacturers in 1852 and then being declared as a “schoolroom for everyone” by the building’s first director in 1857. The V&A has always been a place of admiration and intrigue. The evolution of the building is quite unique, with the latest edition of the porcelain-tiled public courtyard on Exhibition Road designed by Amanda Levete Architects. The Dome by the Grand Entrance has beautiful (yes, you guessed it) domed ceilings, marbled floor and high white walls. Taking centre stage is the contrastingly modern Dale Chihuly sculpture hanging from the ceiling. The John Madejski Garden is also another beautiful dining spot, and if the weather isn’t on your side there’s a lovely space inside called the Dorothy and Michael Hintze Sculpture Galleries that looks over the garden, so guests can be ushered in to there. One of the largest livery halls in London, Plaisterers’ Hall was actually rebuilt three times after being destroyed in the Great Fire of London, another fire in 1882 and then finally during WW1. In 1972 the livery hall we all know today still stands and it backs on to the original London Wall. It includes neoclassical décor throughout that was faithfully reproduced in great detail across many of the surfaces. The Great Hall boasts elegant corniced ceilings, as well as the most glorious (and huge) chandeliers you’ve probably ever seen and the floor-to-ceiling length windows flood the room with natural light. The space was recently refurbished so there’s even a little extra sparkle to those chandeliers and the venue has the latest AV technology. 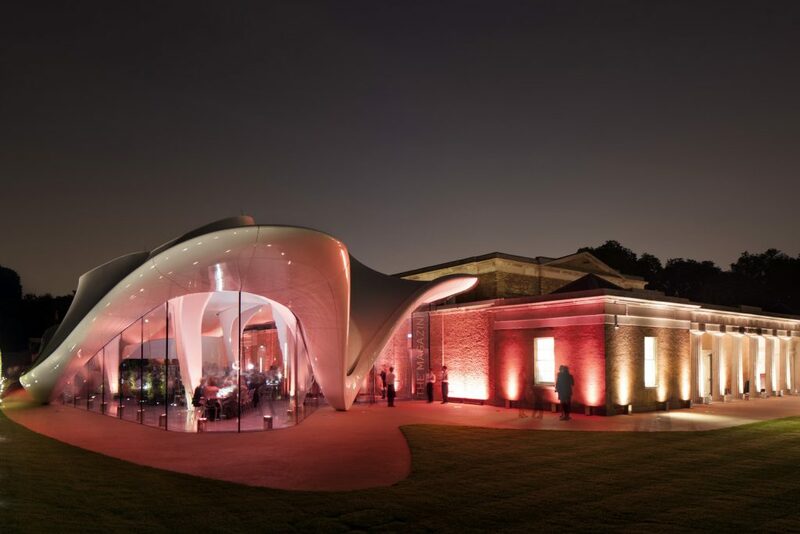 Originally designed as a gunpowder store in 1805, the Serpentine Gallery took a different shape in 2013 when architects Zaha Hadid created a new complementary extension. The organic waves of The Magazine restaurant seem look like a temporary structure, but actually the dynamic shape is permanent. The restaurant is divided by a mixture of swooping columns and sky lights which allow light to cascade on diners below. The space is a design-lovers dream, or anyone who just craves something a little bit out of the ordinary. Private hire is available on request and after a refurbishment they’ll be taking bookings again from 31st March 2018. Not long to go! 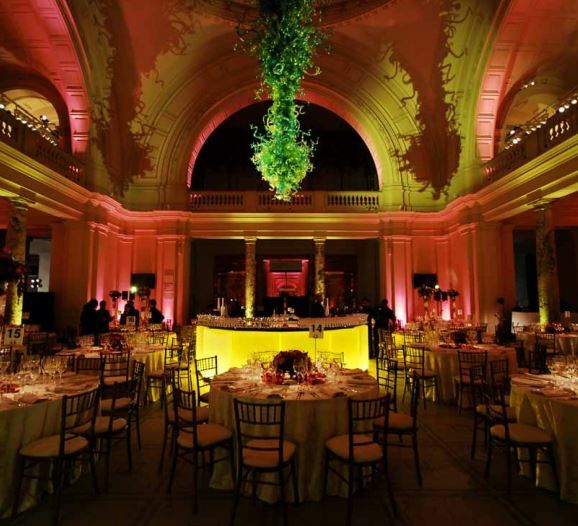 Have you used any of these venues for your events? We’d love to hear what you thought. If you like this blog, you’ll love our newsletter, sign up here.